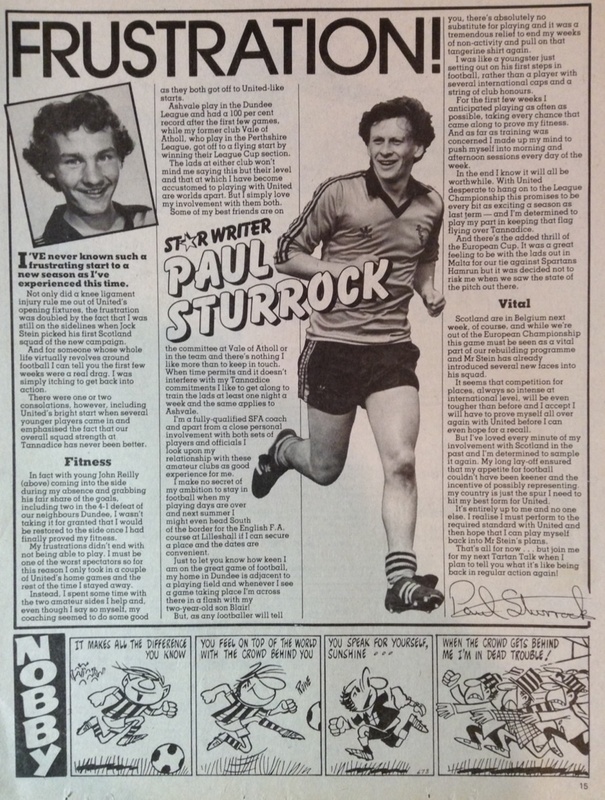 Although born in Ellon, Paul grew up in Perthshire and as a youth starred for Grandtully Vale, Vale of Atholl and Bankfoot Athletic before his performances and impressive goal-scoring record started attracting the attention of numerous clubs around the country. 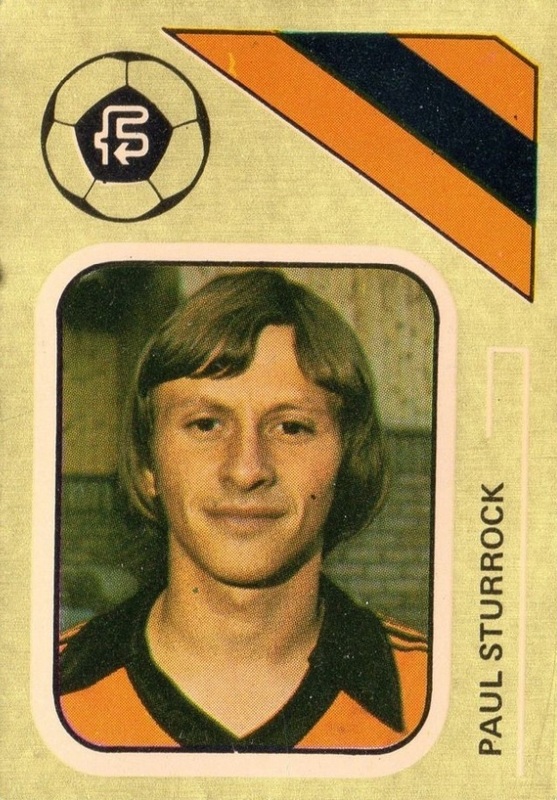 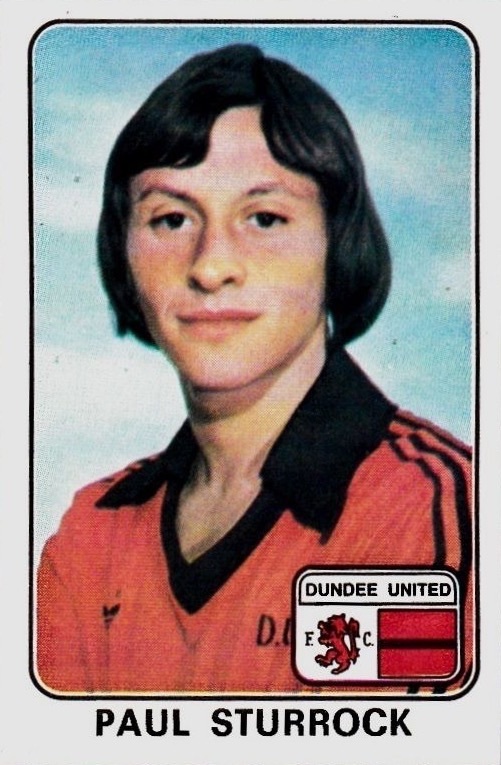 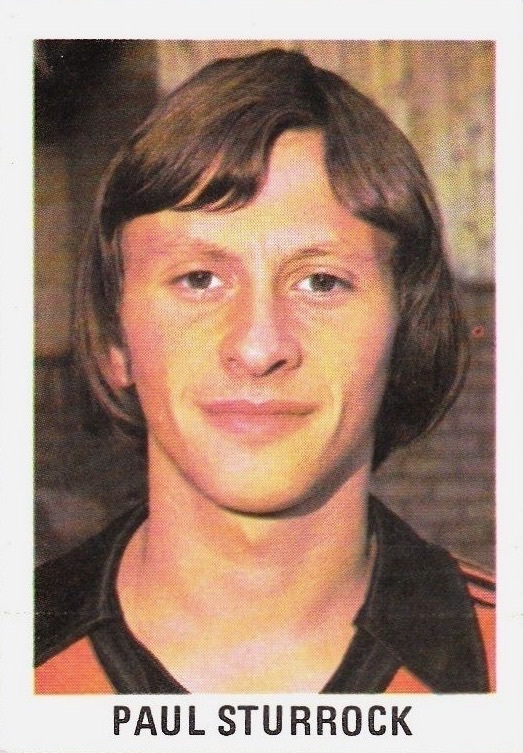 After trials with Greenock Morton and St Johnstone he signed for Dundee United in the summer of 1974. 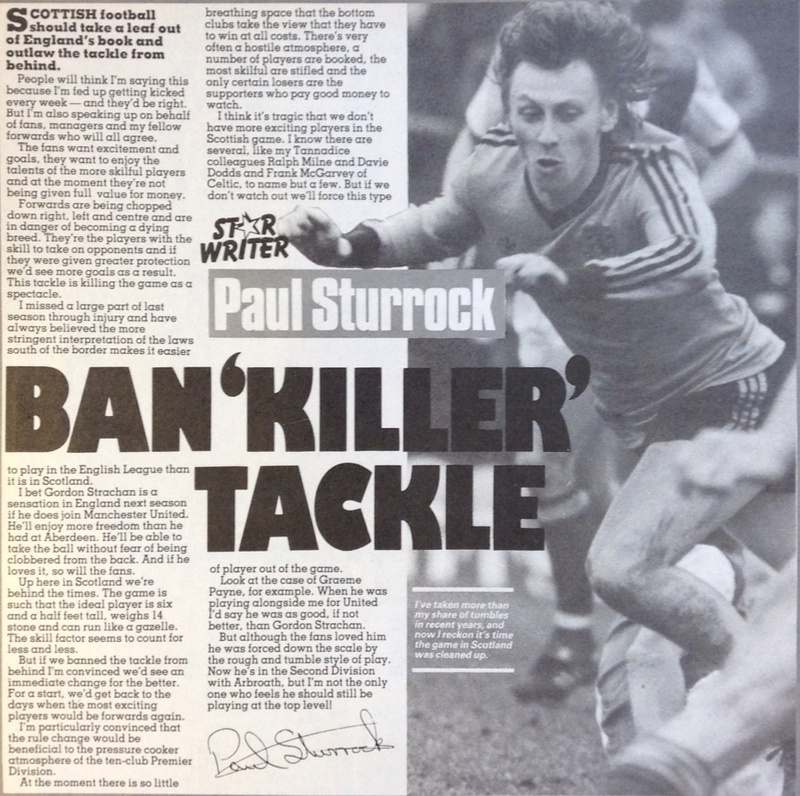 Paul was handed his first team debut a few months after signing for the club - aged just 17 – against Romanian side CS Jiul Petroșani in the European Cup Winners’ Cup. 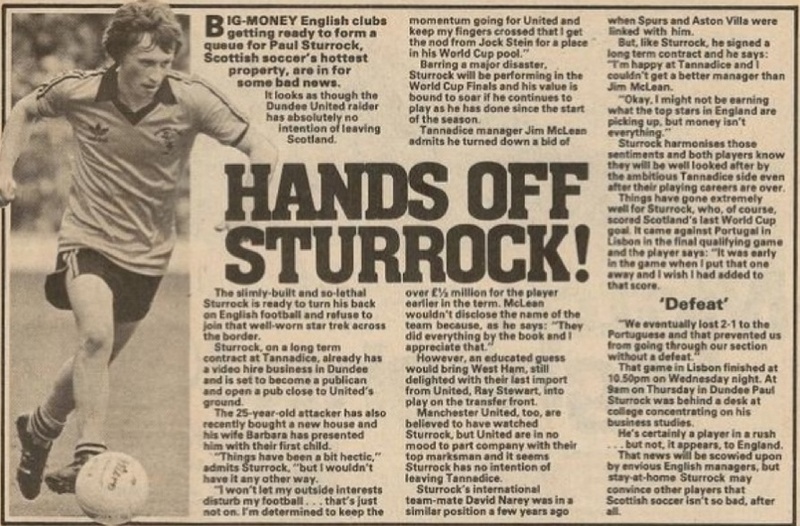 However it was towards the end of season 74/75 that he began to make a real impact for United – scoring his first two senior goals in a 2-2 draw against Rangers at Tannadice in April. 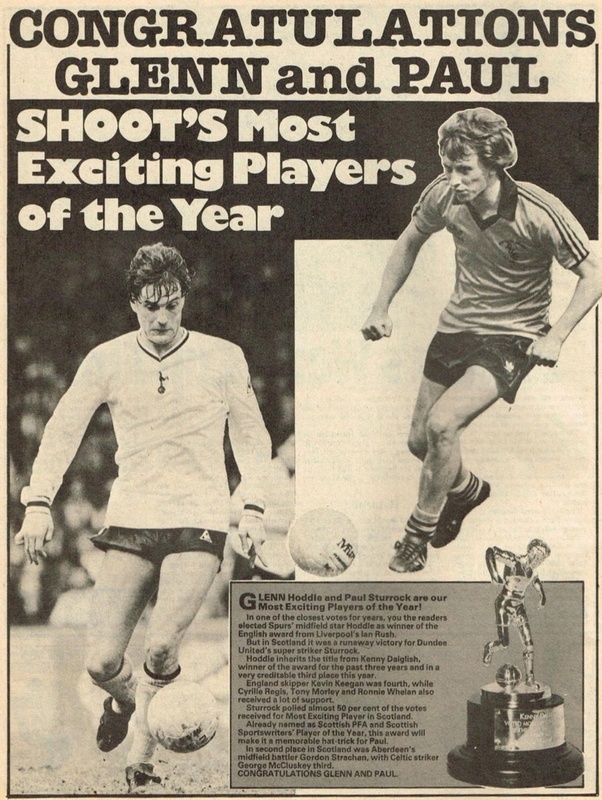 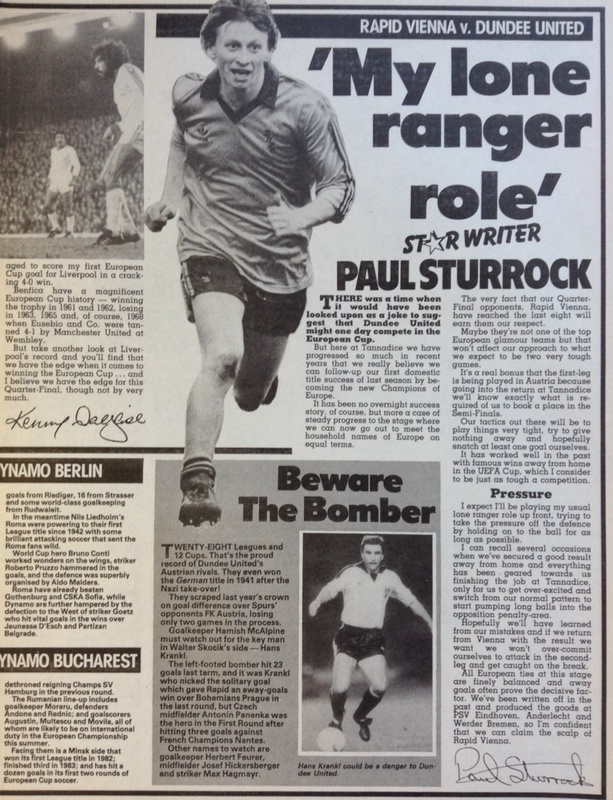 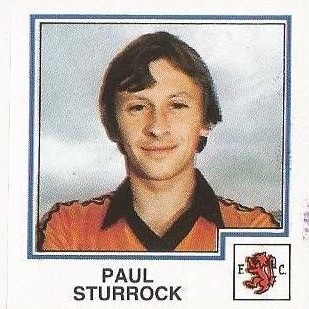 By the start of the following season Paul was a frequent name on Jim McLean’s team-sheet and as early as season 1976/77 he was the club’s top goal-scorer. 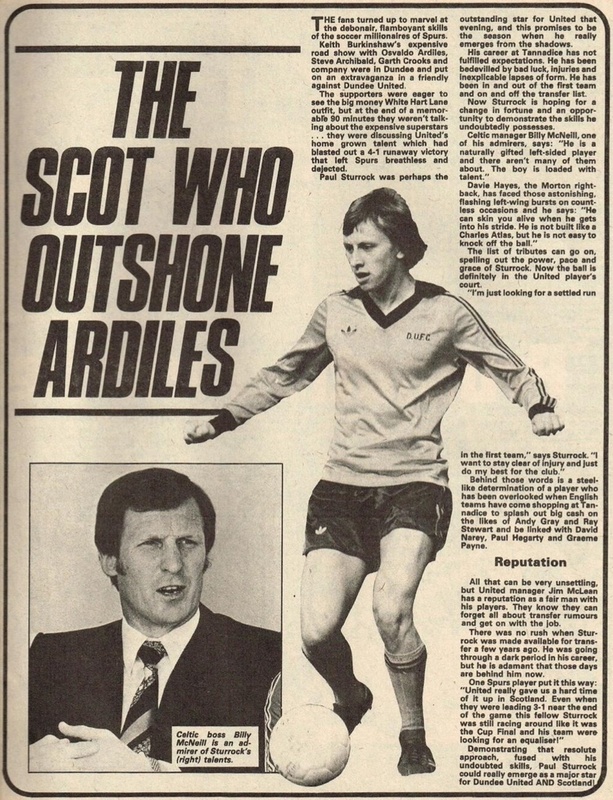 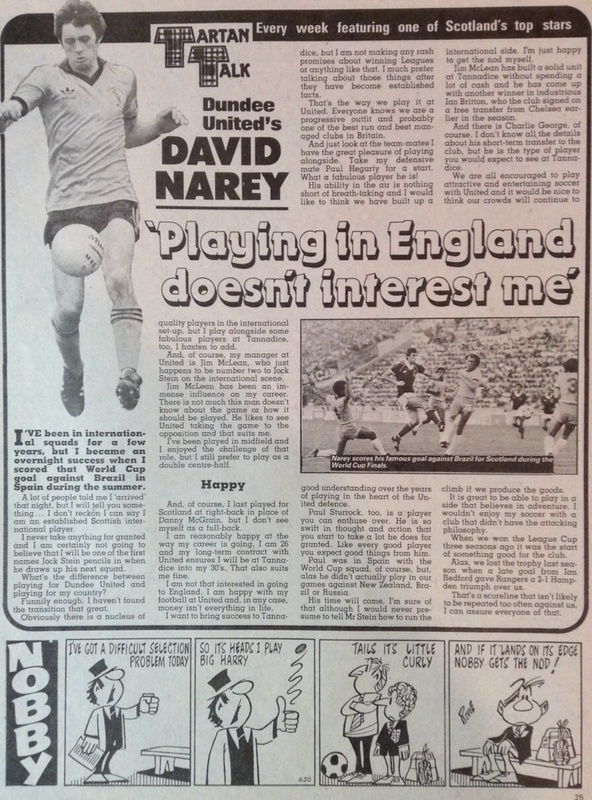 It was during this season that he received international recognition for the first time, appearing for the Scotland under-21s and he would eventually be recognised at full international level for Scotland – see ‘International’ tab. 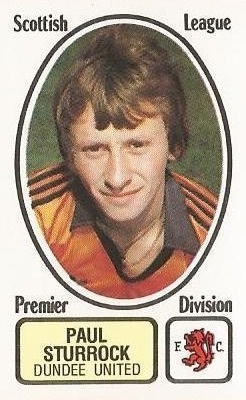 At club level he continued to score goals for United as manager Jim McLean sought to mould his side into a team that would challenge for Scotland’s major honours and in 1979 the club won their first ever trophy. 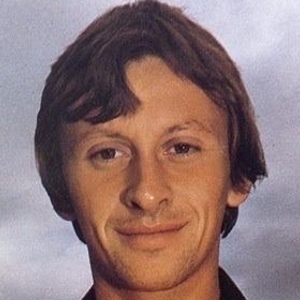 The League Cup Final between United and Aberdeen went to a replay at Dens Park, where Willie Pettigrew scored in the first half before being set up by Sturrock to score the second. 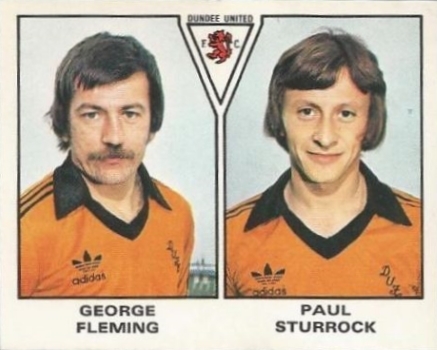 Paul himself netted the third which put the game beyond the Dons and brought silverware back to Tannadice for the first time in the clubs’ history. 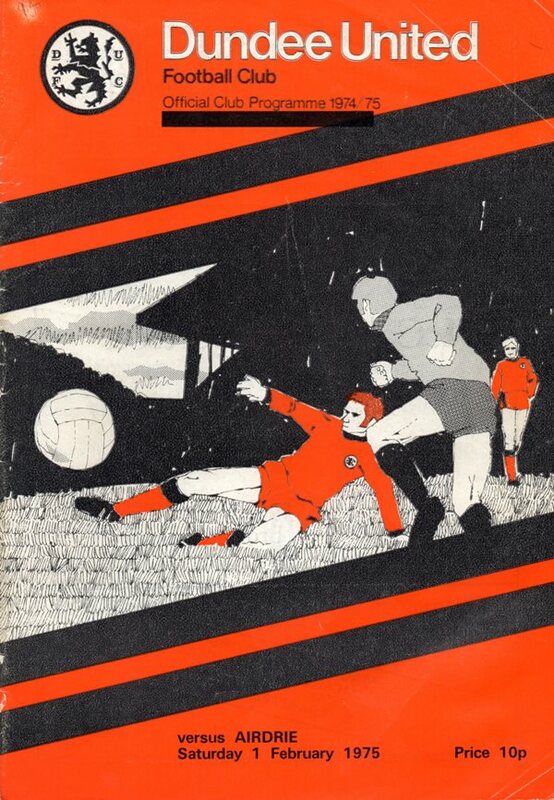 The following year United were in the final of the League Cup at Dens Park again, this time against city rivals Dundee. 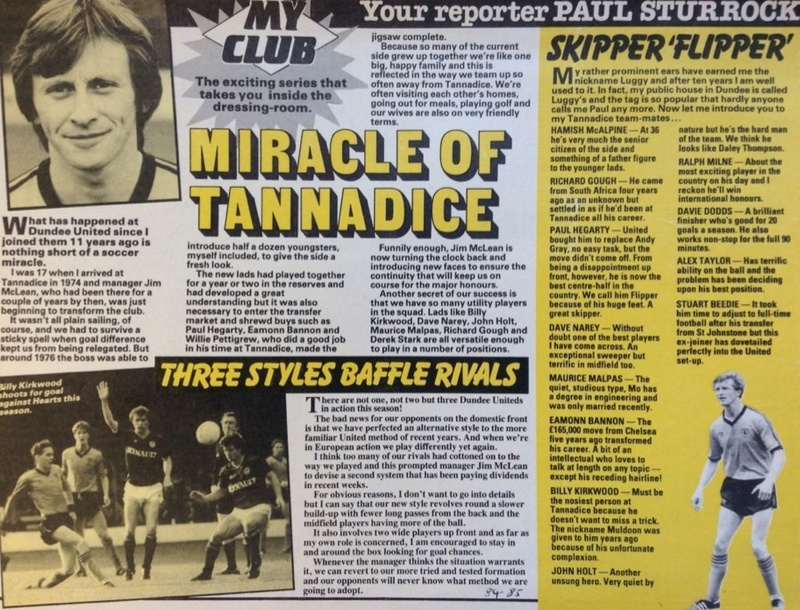 Paul set up Davie Dodds to open the scoring for McLean’s side just before half time and scored twice himself in the second half to ensure that the trophy was returning to Tannadice. 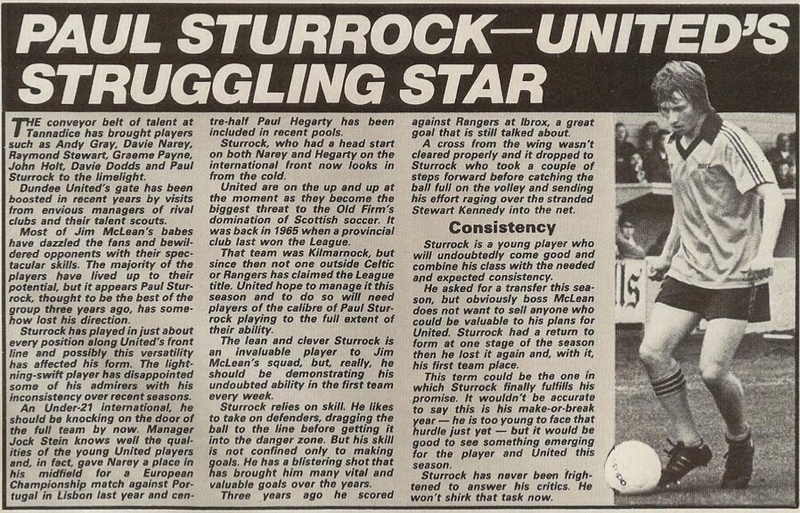 Paul’s performances and goals which contributed to United’s first two trophy wins cemented his place in Arab folklore. 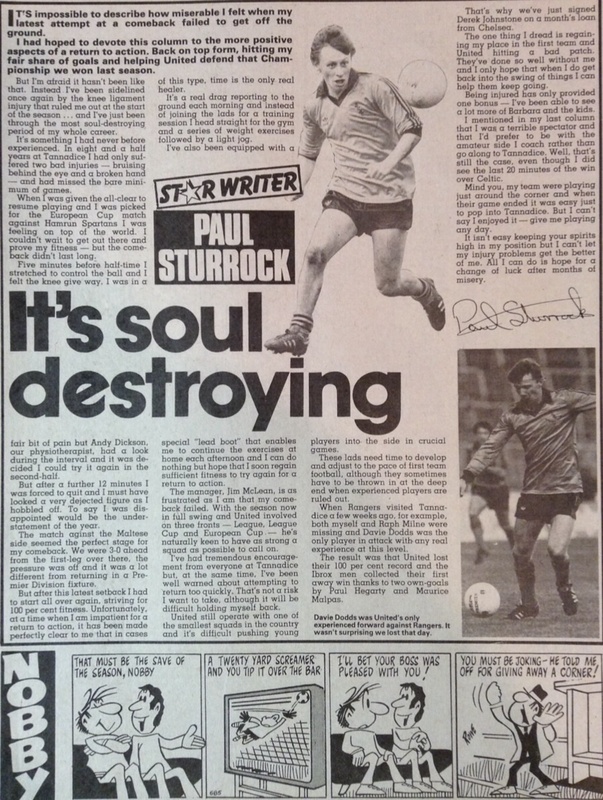 The 1981/82 season was arguably Paul’s greatest: hitting 24 goals in 54 appearances in all competitions as United finished fourth in the league, reached the League Cup Final and impressively reached the quarter finals of the UEFA Cup. 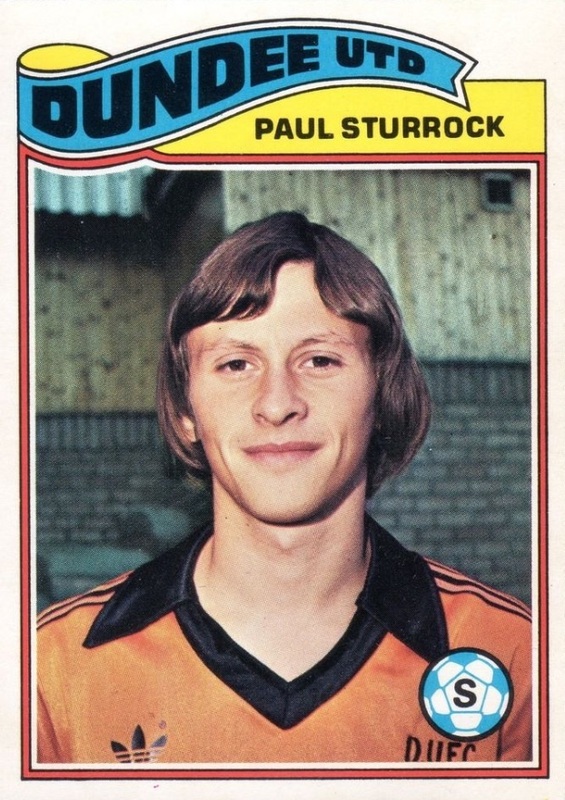 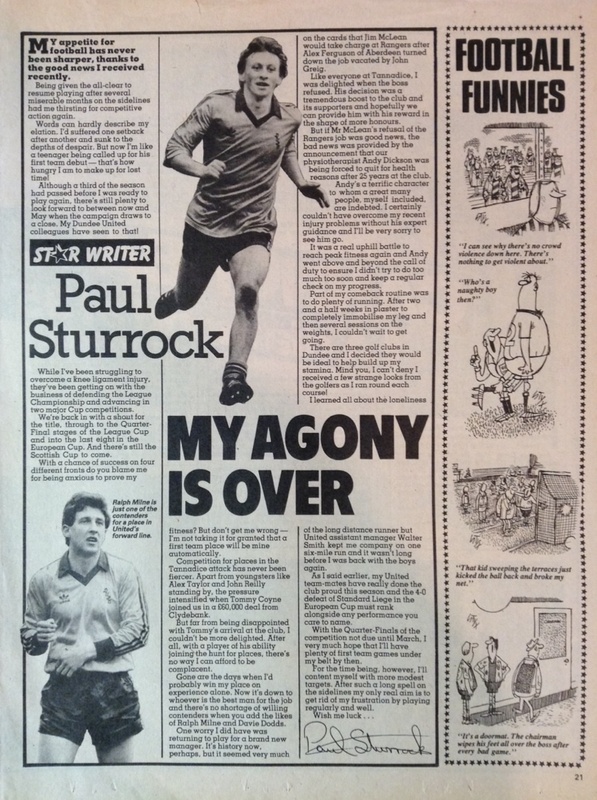 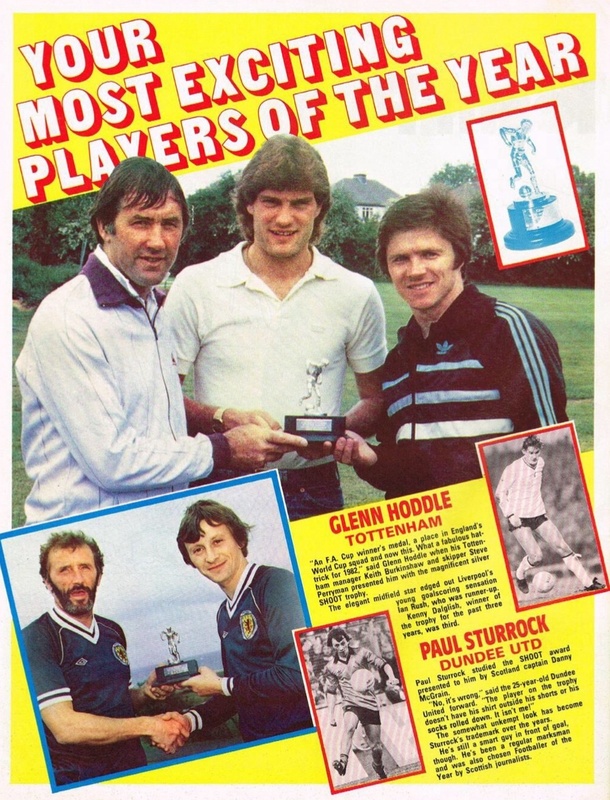 Although not as prolific the following season, Paul’s contribution during the 1982/83 campaign played a key role in Dundee United winning the Scottish Premier League title for the first time in their history. 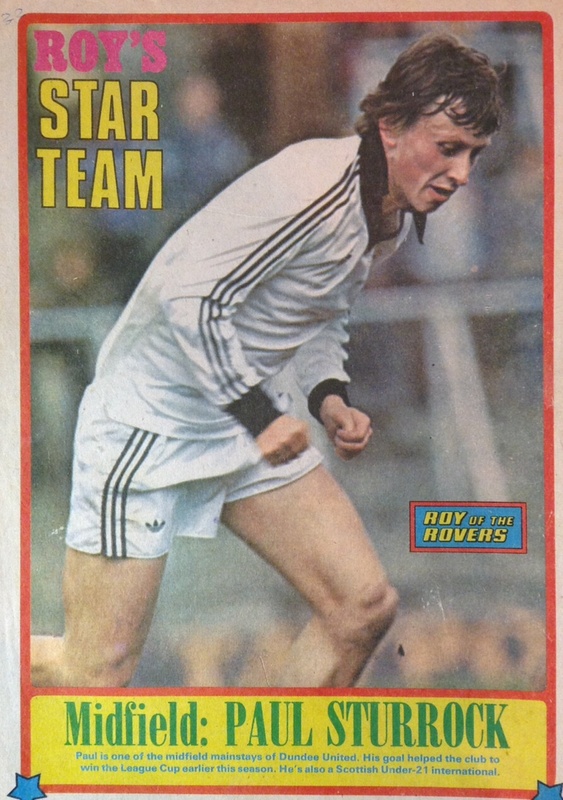 Unfortunately injury ruled him out for six months of the 1983/84 season but he battled back to fitness in time to feature in United’s European Cup ties against Rapid Vienna and AS Roma. 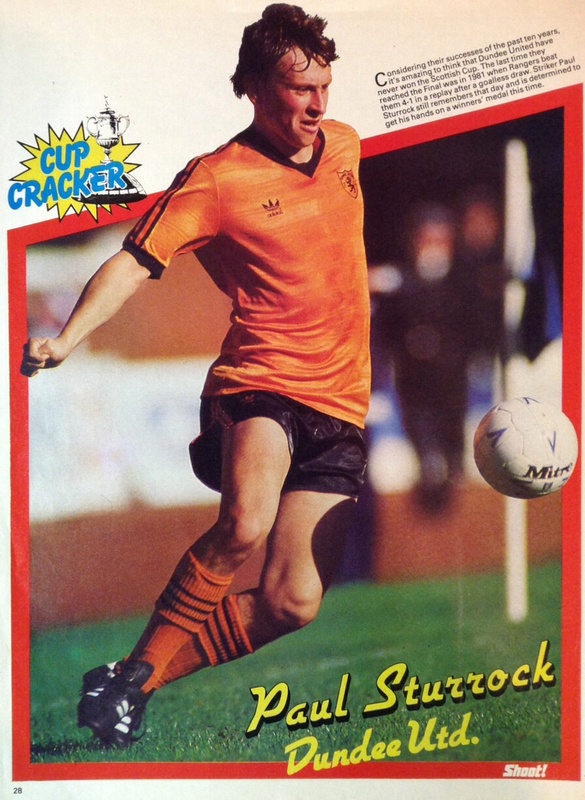 The following season he picked up two runners-up medals as Jim McLean’s side lost the League Cup Final and Scottish Cup Final to Rangers and Celtic respectively. 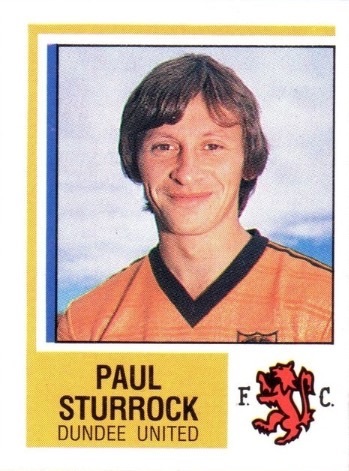 It was during the 1984/85 season that Paul set a remarkable Scottish Premier League record of scoring five goals in one game when United defeated Morton 7-0 at Tannadice. 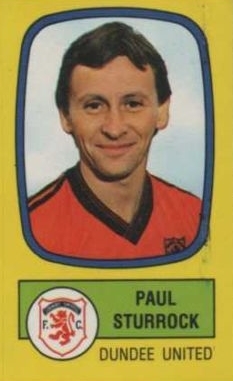 Paul was key player for United during their famous UEFA Cup run in season 86/87 – in particular at the Nou Camp where he gained admirers all over Europe. 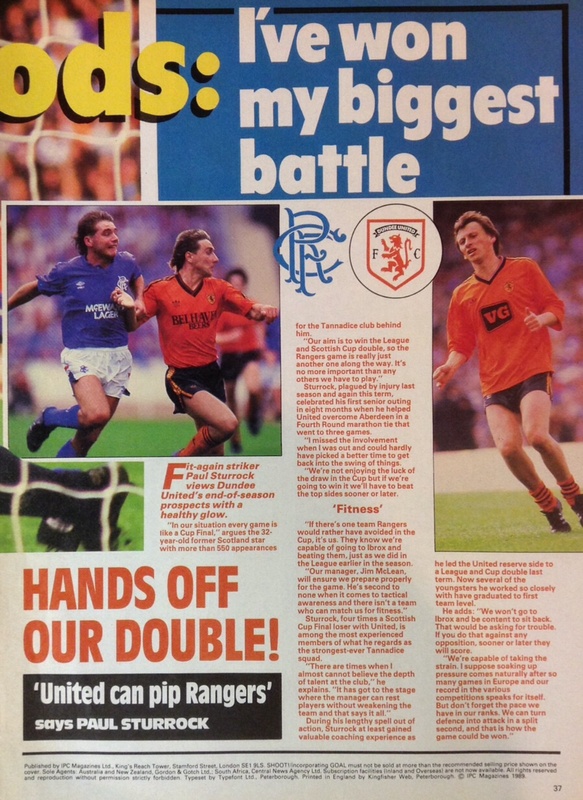 In the end it was a case of so close yet so far for United and he picked up runners-up medals from the UEFA Cup and the Scottish Cup after a heart-breaking end to the season. 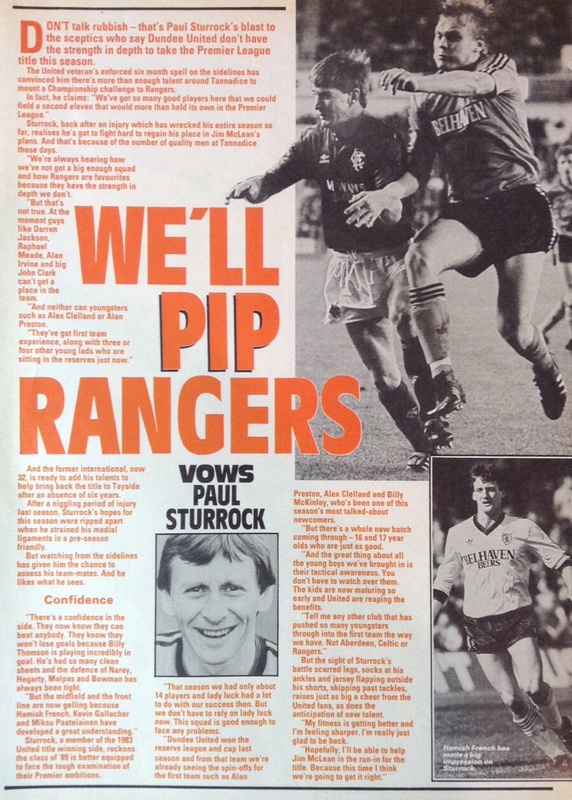 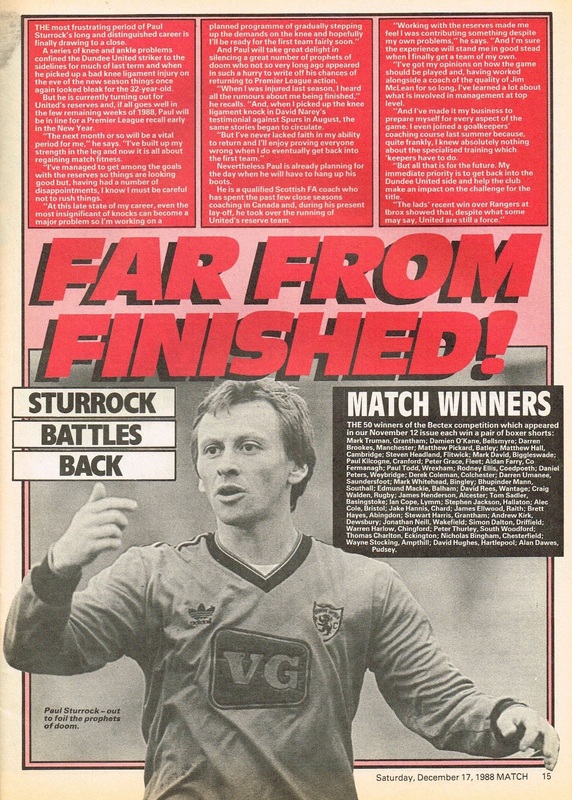 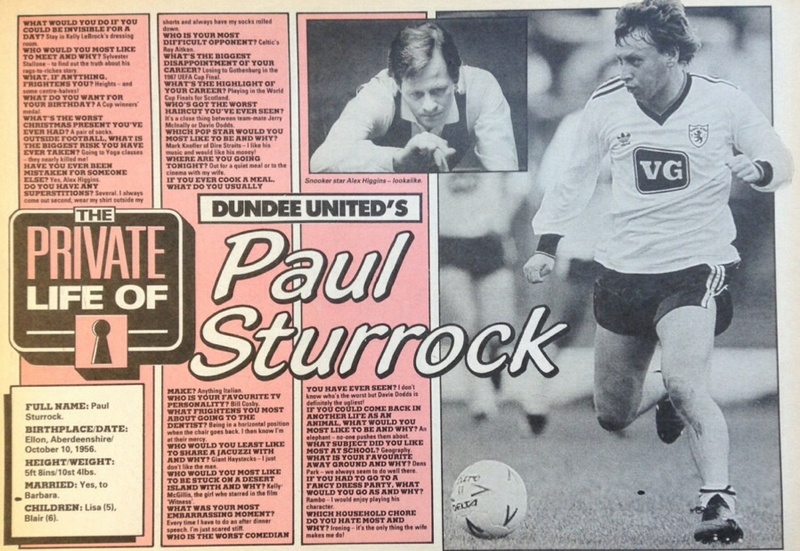 The 1988/89 was Paul’s final season as a player at Tannadice. 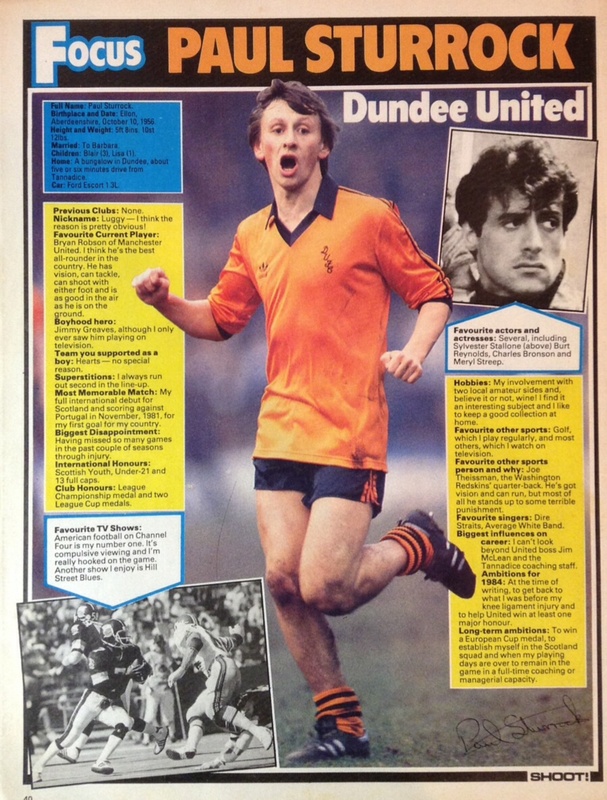 His final goal came on April 8th 1989 and it was only right that it should be scored against Dundee – the team which ‘Luggy’ had terrorised throughout his career. 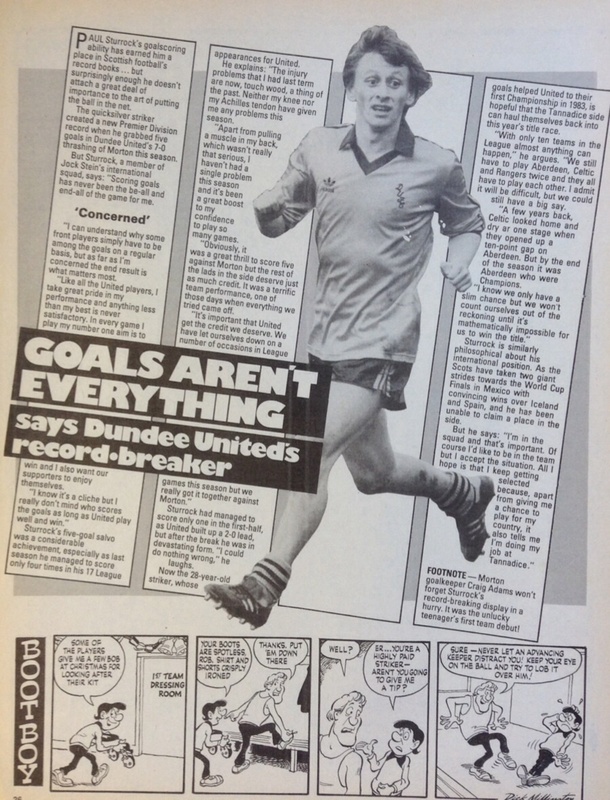 Paul is still to this day the all-time top goal-scorer in the Dundee Derby fixture. 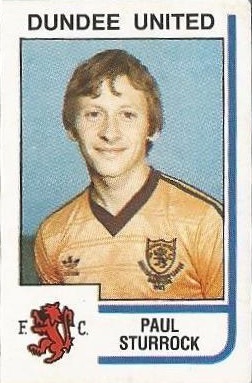 He is also the club’s second all-time top goal-scorer behind Peter McKay. 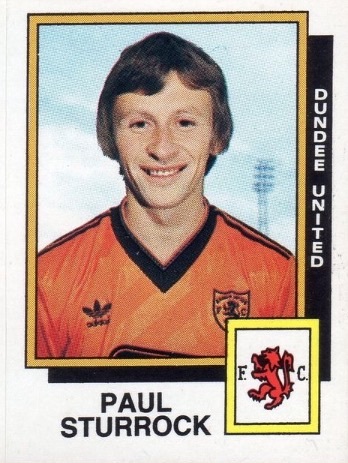 After an injury plagued few seasons, Paul retired as a player at the age of 32 in 1989 to concentrate on his new coaching role at the club, and would go on to have a successful managerial career at various clubs around Britain, including a spell as Dundee United manager. 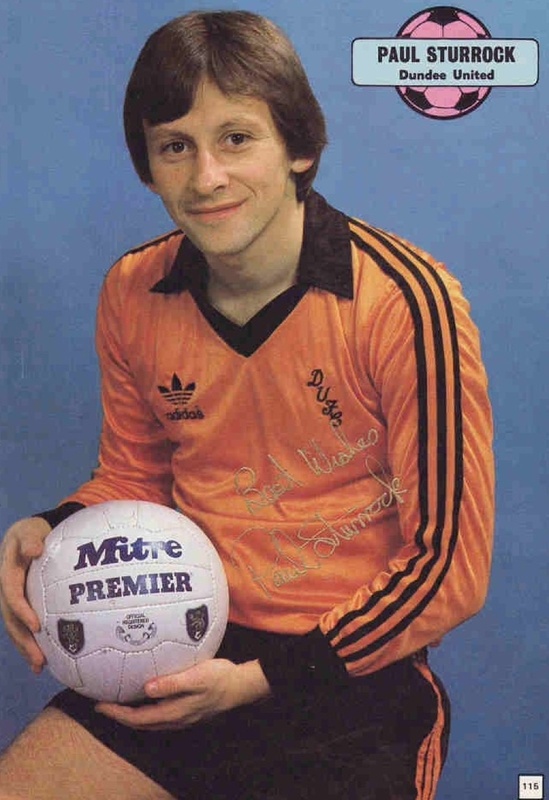 His’s achievements as a player at Tannadice were recognised when he was inducted into the Dundee United Hall of Fame in January 2010. 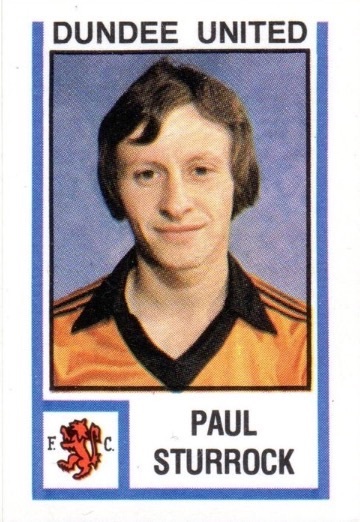 Paul was born on this date in Ellon, Aberdeenshire.